$52? That's some expensive diarrhea! And they wonder why their business is doing terrible. oh? 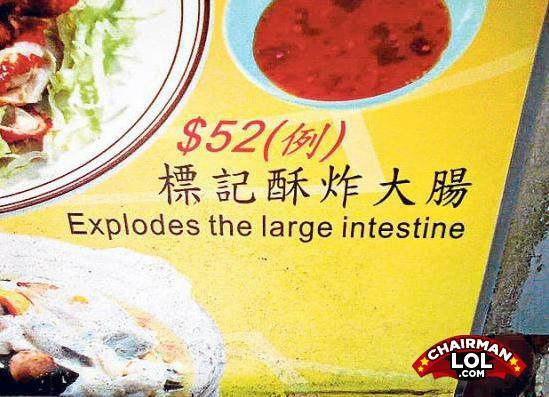 I would never let my intestine explode for 52 bucks! This is why no one eats here! Use Beano, and there'll be no gas! How do you scare a blonde? Paint yourself yellow and call yourself big bird.